There are over 10,000 courses in the SkillsFuture directory. Use your S$500 SkillsFuture credits to learn these 5 profitable skills. With the SkillsFuture Programme and no end of private schools, Singaporeans have numerous opportunities to upgrade. Even with the S$500 SkillsFuture credit from the government, each new course is an investment of time and money. It’s important to pick the secondary skills that benefit you the most, especially with the tough job market in Singapore this year. It is possible, but difficult, to get far in a company with poor English skills. Your colleagues may tolerate the occasional poorly worded email, but it’s hard to become a department head or senior manager if you are still struggling with past and present tenses. Apart from clarity of communication, there is the issue of professionalism and image. It should be true that everything comes down to the quality of your work, but that’s just not the reality. Your ability to speak and write well is a part of your image, just like wearing proper shoes to the office. The simple truth is that articulate employees get noticed, and are often more highly evaluated. The best part is, business English (or just regular English) courses are easy to do on a part-time basis. Many companies may even provide subsidies for select courses, so be sure to ask before signing up for one. Accounting is the language of the business world. Whether you hope to run your own business someday, or just to get into management, basic accounting is a must. While it’s possible to head a department without understanding the basics of a budget, the learning curve will be much steeper. It will also be harder to propose changes or initiate projects within the company if you cannot create a budget for such activities. In your personal life, basic accounting skills are also important for keeping your finances in order. Knowing how to tally your personal assets allows you to gauge what risks you can take, and keeping proper books means you can easily spot areas in which you overspend. A basic grasp of finance is important if you want to create your own investment portfolio. It can be difficult to understand a company’s balance sheet, or concepts such as cash flow, without knowing basic accounting. Logistics is a complex process that encompasses many aspects, such as the most cost-effective way to get a product to a customer, or how to save costs when looking for suppliers and finding storage solutions. A basic understanding of logistics is helpful for anyone who wants to run a small business; whether it’s a small blogshop or a big brand distributorship, logistics teaches you to handle intricacies such as the delivery process, how to deal with returns or defective goods, how to make sure orders are seamlessly processed, and more. Logistics is also important if you are working in a courier company, warehouse, or manufacturing. Becoming a supervisor or manager is often contingent on developing skills in supply chain management. For office workers, logistics training can make you invaluable to your boss. You will be able to make suggestions regarding which suppliers and distributors to use, and spot inefficiencies in your company’s supply chain process. The days of having a specialised social media manager are coming to an end. Employers increasingly expect other related professions to also have social media management skills. For example, many Small to Medium Enterprises (SMEs), upon hiring a marketing manager, will expect social media to be part of the marketing mix. Careers that involve communications, such as Public Relations or Investor Relations, also benefit tremendously from social media management. Even if you do get to hire a separate person to manage your organisation’s media, you will struggle to give them proper direction if you don’t understand how Facebook, Twitter, Pinterest, Instagram, etc. all work as whole. Note that in Asia, many traditional retailers are only now moving into the online space. This means there are numerous career opportunities to be derived from ecommerce. That’s great news for content creators, web developers, digital illustrators, etc. But these professionals will get a significant boost from also knowing how to handle social media. • You want to earn income off your YouTube channel, Instagram account, etc. • You already work in a related field, such as content creation or web development. Important decision makers must learn to interpret data. If you have no grasp of statistics, you will always struggle when trying to pitch big ideas; it’s hard to convince your bosses to approve million dollar budgets and projects, if you don’t know how to present statistical facts. Statistics are often underrated by those in marketing; but being able to collate and interpret survey data is always useful, when you need to position a product or service. Statistics are also useful to those who work in the media industry, as it’s not uncommon for various entities to try and skew your opinion through selective presentation of data. It’s also useful for public opinion articles, such as the ever popular “What is the happiest city to live in” or “Which countries work the hardest” surveys. Those who are work in social services, or run social enterprises, will find great use out of even a basic statistics course. You will be able to look at reams of data, and determine facts such as which neighbourhoods need the most funding, or which social groups are most in need of charitable donations. Lastly, statistics are a great way for entry level workers (fresh out of school) to impress their bosses. Few people expect an intern or trainee to be able to collate data, and identify facts such which products sell better on different months. • You have an interest in social work, activism, or even politics. Why Is A Low Inflation Rate Bad For Singapore? 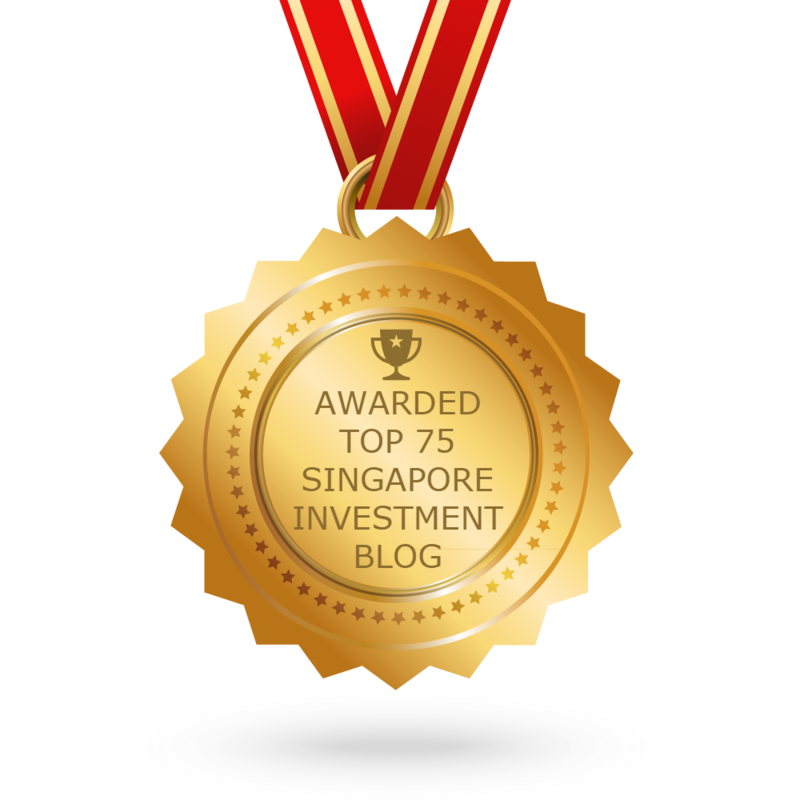 Can A Singaporean Survive On This Portfolio?